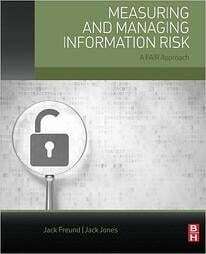 If you’re looking for case-study level insights into how FAIR can revolutionize risk management in your organization – or compelling arguments to persuade your peers and management to adopt a business-aligned approach to cyber and operational risk – watch this webinar from the FAIR Institute’s technical adviser, RiskLens. The RiskLens platform is the only application purpose built on the FAIR model (and the RiskLens Academy is the leader in FAIR training). 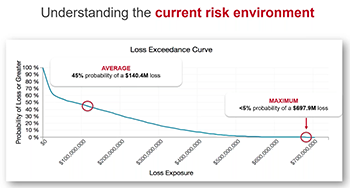 Webinar presenters are RiskLens Vice President Steve Ward, a veteran of the cybersecurity industry, and RiskLens Consultant Rebecca Merritt, a former Big 4 auditor who now coaches large organizations on implementing quantitative risk analysis programs – in . In this webinar she’ll show you FAIR analysis in action on the RiskLens platform with a case study of risk of data breach in moving to the cloud. But…standard cyber risk analysis–with its reliance on heat maps, vulnerability counts or technical maturity models -- can’t speak in the financial terms the rest of the business and the regulators demand, the terms of risk quantification in dollars and cents. Running the analysis with thousands of Monte Carlo simulations to generate reports showing a range of probable risk outcomes in dollars for multiple scenarios – decision support that’s instantly communicable to non-technical managers as guidance for cybersecurity investment decisions.